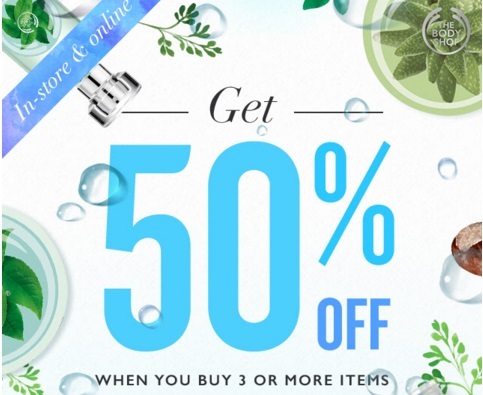 The Body Shop is offering 50% off your entire purchase! This applies when you buy 5 or more items! Offer is valid in-store and online for a limited time.